In September 2008, I had the pleasure to work for the Salto Information Resource Centre (SIRC) for the annual staff training of information officers working for national agencies of the Youth in Action Programme. This year’s thematic focus was on public relations. In preparation of the training, I conducted a small experiment, collected quite a few different things â€” quotes, videos, photos, showcases â€” and reviewed my list of essential books on pr. All of this will be available here before the end of the year, starting today with the books. 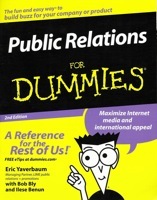 A great and in-depth introduction to public relations. 350 pages and six chapters that stand on their own, are easy to read and easy to understand: I: PR: what it is, how it works. II: Brainstorming and thinking creatively. III: Putting the wheels in motion. IV: Choosing the right medium for your message. V: Creating buzz. VI: The part of tens. An inspiring book about the brilliantly simple, yet inspired creative edge in public relations. 240 pages and 18 chapters, spanning from theory to ethics and culture without ever losing the practical dimension: 1. A definition of creativity, 2. Creativity: some myths debunked, 3. How you think in boxes, 4. The creative process, 5. Creative techniques, 6. Green light thinking, 7. Creativity consultation tool, 8. Evaluation of ideas, 9. Creativity is not just for photocalls, 10. Obstacles to creativity, 11. You are never more than 12 feet from an opportunity, 12. The creative diamond, 13. The creative individual, 14. Creating a creative culture, 15. Ethics of creativity, 16. Future of creativity, 17. Award ceremony, and 18. Interested in finding out more? A groundbreaking book transferring the principles of public relations and social marketing to the world of governmental agencies and the public sector. 330 pages, 3 parts and 13 chapters detail a roadmap for improved performance in the pursuit of the common good. I: Introduction (2 chapters, 30 pages). II: Applying marketing tools to the public sector (8 chapters, 200 pages). III. Managing the marketing process (3 chapters, 50 pages). If you work for a governmental agency and have to decide for one book only from this list of five, buy this one. 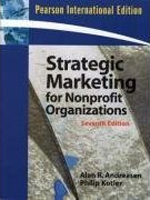 The standard publication on public relations and marketing for nongovernmental organisations. The 7th edition features 500 pages, 5 sections and 19 chapters help to improve the impact of any organisation’s work. I: Developing a target audience orientation (2 chapters, 60 pages). II: Strategic planning and organisation (5 chapters, 125 pages). III: Designing the marketing mix (7 chapters,160 pages). IV: Developing resources (3 chapters, 90 pages). V: Organising and controlling marketing strategies (2 chapters, 40 pages). If you work for a nongovernmental association and have to decide for one book only from this list of five, buy this one. Social Marketing. Influencing Behaviours for Good. The pioneering book on social marketing, for nongovernmental organisations and governmental agencies alike. 444 pages, 5 parts and 17 chapters illustrate with many examples from practice, how social marketing works and can be implemented. I: Understanding social marketing (3 chapters, 66 pages). II: Analysing the social marketing environment (2 chapters, 40 pages). III: Establishing target audiences, objectives, and goals (3 chapters, 70 pages). 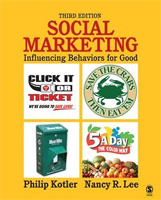 IV: Developing social marketing strategies (6 chapters, 160 pages). V: Managing social marketing programmes (3 chapters, 60 pages). Why do we need the nerds?